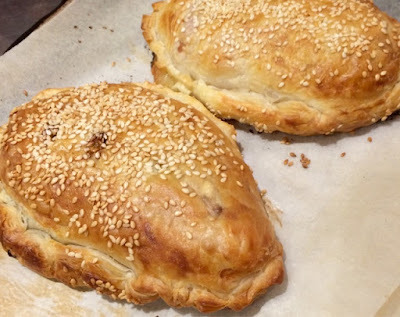 I make these quite often, they are a good for a simple lunch or dinner. 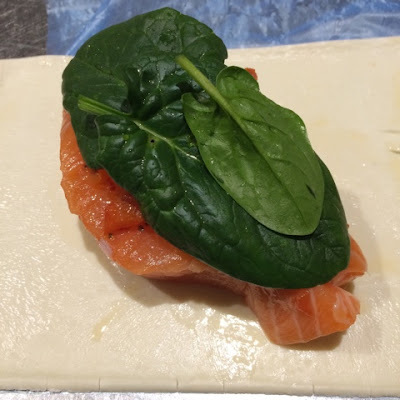 The salmon parcels can be made in advance and kept refrigerated until required.The oilyness and robust flavour of salmon combines well with the earthiness of the tomato. The pastry keeps the fish moist and provides a contrasting crisp and flaky texture. Serve with a crisp salad for an easy and tasty meal. 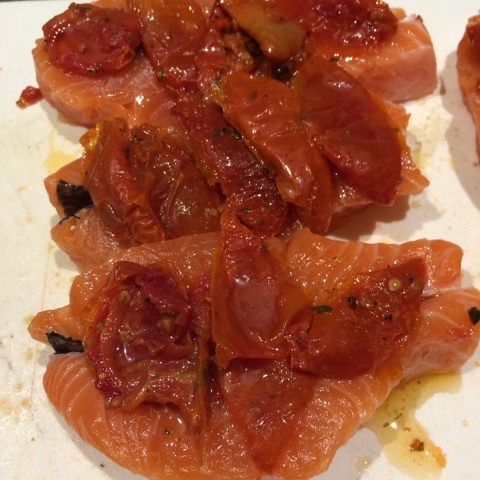 I use the semi sun dried tomatoes that are available in the delicatessen section of supermarket or food stores. The flavours can be altered according to your preferences and what is in your fridge. A few olives, a little crushed garlic, sliced mushrooms or some julienned vegetables. 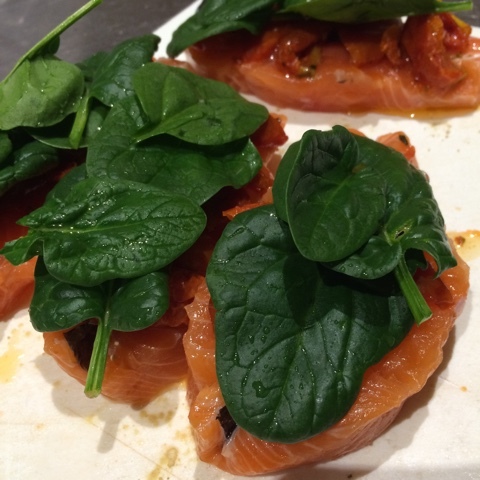 For these I used semi sun dried tomatoes and baby spinach. 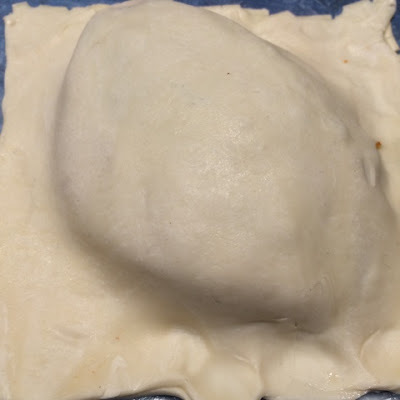 Cut a sheet of pastry in half and place the fish portion at one end of the pastry. 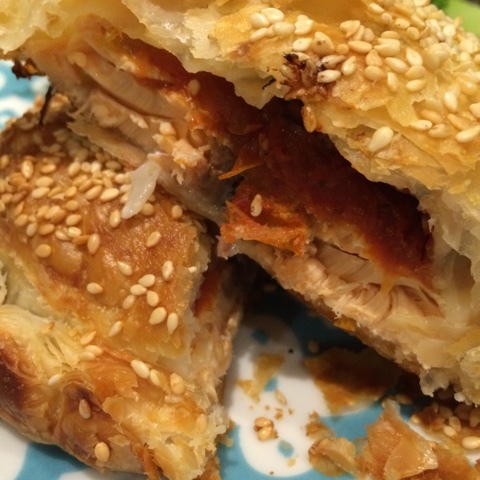 Fold the sheet over so that the fish is enclosed, press the pastry together. Leave a border of pastry, trim away the excess and then roll the edges of the pastry over. Place on a tray lined with baking parchment. Brush with milk or an egg wash and sprinkle with sesame seeds. Bake in a hot oven (200 deg C) for approximately twenty minutes or until the pastry is puffed, flaky and golden brown.